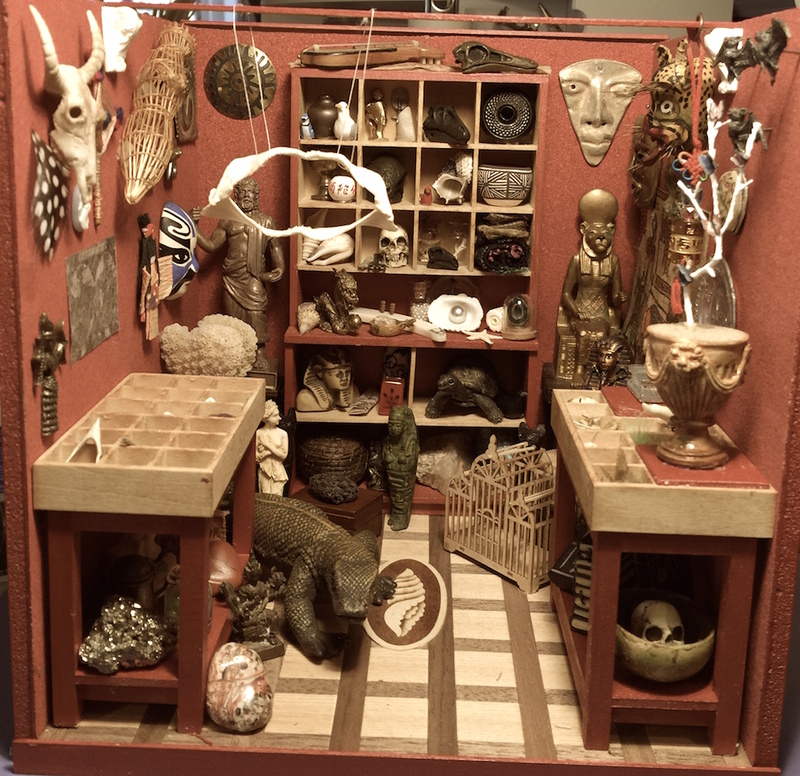 I made a miniature Cabinet of Curiosity for the First State Mini Club show last month. The 8 inch by 8 inch box, a club project, was challenging because of the small size. My result wasn’t brilliant but it was fun to cram a lot of things in a small space. It needs some grunge to make things look old. Neat I enjoyed looking at all the little little pieces.